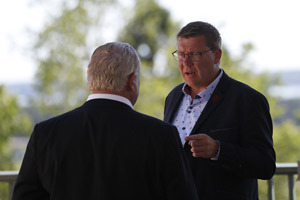 Canada’s Premiers agreed to continue to strengthen and modernize the Agreement on Internal Trade (AIT). Appreciating that past efforts have made it possible to attain real and concrete progress in areas such as labour mobility, Premiers know more can be done. 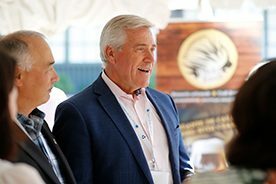 With internal trade valued at $366 billion (or 20% of Canada’s GDP), which has grown by approximately 60% in ten years, Premiers recognize that the free flow of people, goods, services and investments across the country supports building stronger economies and strengthens Canada’s economic union. Significant advancements in international trade make it even more important that Canada is effectively positioned to capitalize on opportunities both domestically and internationally. 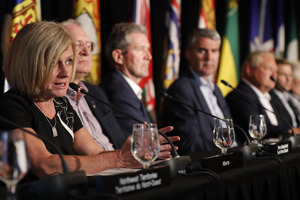 Premiers are committed to working toward an ambitious, balanced and equitable agreement that levels the playing field for trade within Canada. 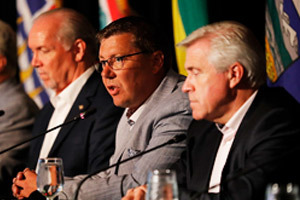 Leading in this area of provincial and territorial jurisdiction, Premiers agreed to undertake a comprehensive renewal of the AIT. Using the existing AIT and considering the desire to ensure more consistency with modern international trade agreements. Parties will focus early efforts on initial priority areas: Government Procurement, Goods, Services, Investment, Technical Barriers to Trade, and Regulatory Cooperation. Informed by the result of their work, Parties will make a determination of how to proceed to address all remaining areas. 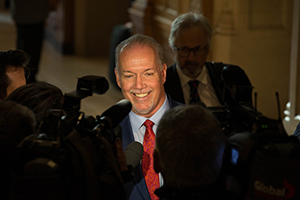 In order to ensure that Canadians do not receive less favourable treatment than is offered to foreign interests, Premiers agreed to the principle of adjusting, where appropriate, their internal commitments with those made in international trade agreements. A Steering Committee of Premiers Selinger, Wall, Wynne and McNeil will lead provincial and territorial Ministers in this work. This Steering Committee will provide an update to Premiers in six months, including concrete actions on enhancing labour mobility. Negotiations on the Agreement on Internal Trade are to be concluded by March 2016.